I’m ready to be wrong on this. To improve it, give links for resources and other arguments. Turns out just a few things are needed to explain why it is difficult develop enough deep technical talent to have the likes of disruptive companies in Singapore. 1. Domestic conditions. That will be the most difficult constraint to overcome. Any hope of overcoming this constraint will have to come from a deeper economic integration with the region — something that will take a long while more to overcome. The small domestic market does not encourage the rise of large companies. The companies that have become successful and relatively large companies are either those that were started by the state for developmental purposes, or due to traditional trading skills. Domestic firms cannot pay enough to attract deep technical talent. 2. Large foreign firms. Large foreign firms are here due to Singapore’s policies. These large foreign firms supported economic growth, giving jobs and skills to Singaporeans. These firms, being well-resourced, are far more able in providing a higher wage. These companies can outdo local firms in attracting the same person with more pay. As a result, small local firms cannot attract the talent they need to expand and grow. 3. The presence of a relatively large banking and professional services industry. Talented people have other avenues other than the MNCs. They can also become consultants or bankers. These industries siphon off people who could have gone to MNCs to sharpen technical skills or to build local capabilities. 4. Awkward labour. There are basically a few models of the labour dynamics from the political economy perspective. One of them is the antagonistic relationship in the US — with labour competing with capital over the conditions of work, with the government as a referee of sorts. In many parts of Europe, there are still elements of a labour system that is embedded with capital at various levels of operations. Labour in essence, makes a pact with capital on restraints, but only under conditions of shopfloor autonomy. Overall, this is undergirded by a cultural appreciation for blue-collared workers — which are highly trained and specialised in what they do. 5. Education as a filter. Then, there is the whole notion of ‘talent’ in the first place. What is a talent? How is it defined? The current model of education is still meant to filter the top few percent as leaders for the administrative elite in the government of this country. This means that resources are concentrated at the top. Some of this is surely desirable; after all this country certainly requires excellent leadership, and starting from young is not a bad idea. Plus, elites occur in every country. However, education as a filter, together with the concentration of resources at the top, means that there is a underemphasis of the rest of the population. This has only changed more recently in the past few years with the revamp of the polytechnics and ITE, and even more recently with the ASPIRE committee. However, a system of obsessive competition for limited slots for the elite path has been created. This system of obsessive competition creates a lot of waste, visible through the tuition mania. The notion of talent and meritocracy is still seen through the narrow lens of examinations and grades. Maybe an expansion of resources to more schools at all levels of performance might be required. This is not to say that schools should become homogenous — no, but MOE has to give more resources to allow teachers to teach better and to give students more opportunities for all-round development, including in academics. Education cannot be a filter — it must be a moving escalator that gives and supports people the skills, training and retraining — cohort after cohort after cohort. SkillsFuture and the ASPIRE committee together constitute attempts for Singapore’s political economy to move towards a German-lite model — creating a system where workers can find training for providers and go back to the shopfloor. The next piece of this transition could involve a more robust labour that will need to negotiate with companies on giving workers more assurances especially when they go for training. Yet another piece will involve even greater resources to be expended to improve the quality of polytechnic education, inasmuch as they become the bastions for industry-related training. The universities will have to adjust in this, perhaps moving more strongly into basic research to differentiate their offerings from the polytechnics. A big elephant here — on the continued emphases on international companies — will likely remain giving longstanding practices. With a labour force that has deeper technical skills, international companies might find it favourable to stay here. A greater pool of deep technical labour could even become the basis of world-beating local companies, though that will remain difficult still without a more deeply-integrated regional economy. One can tell that its really difficult to talk about one single issue in isolation; I just pulled a thread on talent and the whole rug came out. SkillsFuture and the ASPIRE committee together constitute attempts for Singapore’s political economy to move towards a German-lite model – creating a system where workers can find training for providers and go back to the shopfloor. The next piece of this transition could involve a more robust labour that will need to negotiate with companies on giving workers more assurances especially when they go for training. Yet another piece will involve even greater resources to be expended to improve the quality of polytechnic education, inasmuch as they become the bastions for industry-related training. The universities will have to adjust in this, either moving more strongly into basic research to differentiate their offerings from the polytechnics. A big elephant – on the continued emphases on international companies – will likely remain given longstanding practices. With a labour force that has deeper technical skills, international companies might find it favourable to stay here. A greater pool of deep technical labour could even become the basis of world-beating local companies, though that will remain difficult still without a more deeply-integrated regional economy. Bits of the things here are definitely outdated. I don’t know if a ‘German model’ has been able to persist since the 1990s. Comments about the German model(s) on labour-capital relations are much appreciated. I did not write about immigration policies here, because it is difficult, and it is not the emphasis. But a few things: immigration will be necessary, because even productivity will have limits. Diversity in international experiences/perspectives will still be an important thing to have. However, immigration cannot be the substitute for the difficult reforms for a more productive economy. I apologies for the motherhood statements here, and the model to arrive here is one where immigration policies are a supplement to economic growth, one where the numbers game is not the main consideration. There clearly is more to this, but that will be another essay. Also, please don’t see this as an end. See this as a start of an journey to see how the different pieces come together. Once again, remember to post counter arguments and links to resources at the side. I owe intellectual debts to Hall and Soskice — on the LME and CME frameworks. 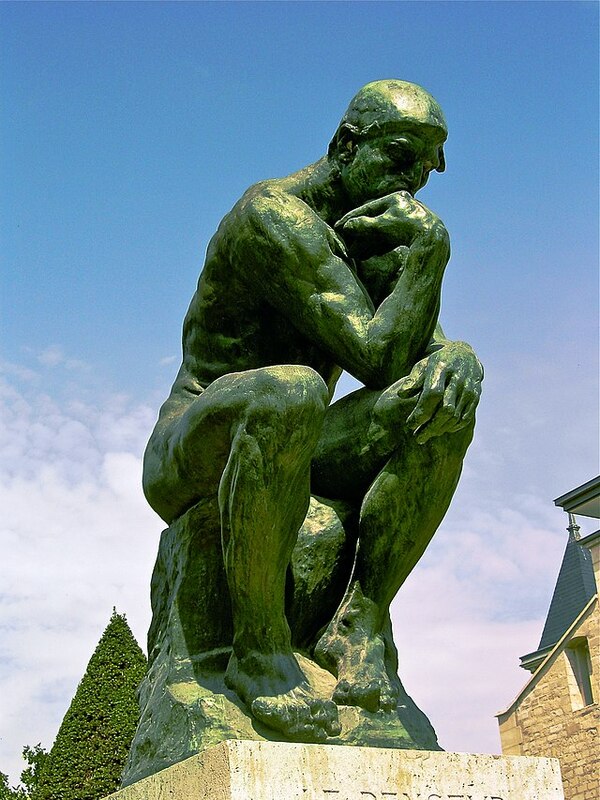 How can we think about idealism, when faced with the challenges in society and the world? Is it the end of the road, when we hit cynicism? Do we become apathetic fatalists, in which nothing we can do will ever change the situation? I think cynicism is not the final answer, and being a cynical idealism is an awkward term of phrase. I believe that the phrase to use is patient idealism, and it captures the reality of what happens in the world, yet also provides the space for ideals to be realised. I guess there’s a very natural tendency for cynics to become apathetic about life, and then to think about how to get ahead, to live in reverse of the ancient cynics and seek material life as comfort and as the aim of life. Cynicism appears to emerge during the transition of youth and into the real world of real responsibilities. Working in organisations, one can become disillusioned at what the world offers. I guess this transition is difficult for youths who have had some experience of activism, and realise that the world can be harder to change than when they first joined the scene. Many young people use their experience in activism as a CV filler to help them climb ladders to exclusive educational institutions; I guess they imbibe the values of the world and continue climbing other, perhaps even non-activist ladders. There will be many people who use the term, “tempered idealism” as a way to communicate the result when the reality of things clashes with their idealism. People use the phrase to describe how their idealism needs to be compromised, especially when they seem unattainable now. Those who cannot see accommodation or compromises between so-called ideals and so-called reality can also lapse into apathy or fatalism – the belief that nothing possible can be done, so there’s little point in trying anything. Many positions are possible. I remember using the terms “tempered idealism” a lot myself. Gradually however, I felt that this did not reflect what I truly felt. I did not feel that idealism was being moderated or had to be subjected to moderation or compromise. I thought that there were things I believed in that are good goals in themselves, and can be attained. However, they would need time to achieve. That led me to realise that a distinctly-different position was possible, and for myself, I call this patient idealism. There might be a whole bunch of reasons why the factor of time is often not considered in activism and idealism. One of it could be due to life-experience. I guess when young people start out projects, they are often quickly done, and for great effect. People are often quickly encouraged, and want to do bigger and better things, and quickly hitting the limits of scale and resources. The other reason could be due to the general feeling of instant gratification, the idea that change must come, and it should come now and all at once. The other thing could be the idea that efforts will be rewarded with the goal – that a serious, concerted effort to make change happen can truly result in a discontinuous change or a break with the past. All of these notions ignore the necessity of time, and the inertia of human institutions. Those views also ignore human psychology – that existing habits are, obviously hard to change, and that much social change, is a change in habits and mental perspectives, and those things cannot, are not subjected to large internal changes. To truly effect the changes one wishes to see in the world (after changing oneself, of course), one would have to change the direction of the organisations and institutions that matter. The would-be-activist would either establish an organisation, and grow it, or to enter into an organisation, and continuously change the groups that they find themselves in. After all, much of human activity takes place in organisations. Does the Internet portend a different model of organisation? As revolutionary as it is, it turns out that the Internet has appeared to strengthen the need for organisations – the Internet has changed the format and technology of organising, but it has not changed the need for organisations. No matter how crowdsourced a movement is, leadership is still necessary, though the leadership in dispersed connected movements call forth different skills. Establishing a thriving organisation and climbing organisational ladders both take a lot of time, and both entail significant risks for the activist. Establishing a new organisation be it a movement or a social organisation is fraught with risks. Where does one get the resources of people and capital? Will the competition choke off growth? Can it find the legitimacy to survive? Yet there are clear advantages too. In establishing a new organisation, one can do something truly new (at least according to the founder), and not be weighed down by history and established patterns. One can afford to take risks in new organisations, and failure is possible. In entering an existing organisation, one faces a different set of conditions. There are existing patterns and habits, which in themselves are already difficult to change. One has to convince others that the change is legitimate, and functionally better. Activists would have to convince that the change advocated for is aligned with the direction of the organisation, and find more senior staff who can protect them from change-adverse colleagues, or even from other activists advocating for their direction of the organisation. They do however, take on far less risk than the starter of a new endeavour. Herein is the major tradeoff that is often not articulated – it is the tradeoff between risk and freedom. Being an activist, or more broadly, a social agent of change is a matter of habit. One does not suddenly realise the need for change – one sees opportunities for change in many situations on many occasions. And there often are opportunities for change every where – the question is one of far-reaching it goes. It could be simple as making a mundane procedure more efficient, with less steps in between initiation and implementation, or in organising a movement for a previously neglected social need. One doesn’t wake up and realise that the world is fundamentally flawed and in need for a change in direction towards a greater good; one starts exploring how flawed the world is and sees the opportunities for change. I don’t believe that one needs to climb to the top of the organisation hierarchy before change can be enacted. Activism – in whatever form, is a habit, and a skill – one in which there are paths to improvement, where mastery can be defined and attained. As with all skills, however, it requires time – the time to practise, to reflect on how to do it better, and to have the clarity of the goals to be achieved. Activism requires patience. Policies enacted by government (or any other institution) can only do so much to get people thinking about their present conditions, and do so much to change their behaviours. Think about changing habits – habits are difficult to change when they are formed. Yet they can change, although they sometimes require an event major enough to change. And so think about the difficulty of engaging in change-making projects – without a crisis backdrop, people are generally not convinced of the need for change, because it would involve additional work especially during periods of transition. There are limits to how much change people can stomach all at once. With these things in mind, one realises that incremental changes are not acts of cowardice or conservativeness (though they can be). Incremental change is just the realisation of psychological realities – everything happening all at once fundamentally is just too much for people to stomach. Still, incremental changes, pursued consistently in the same direction, leads up to major changes. They take time, however, from five to ten years, and they depend on the fickleness of leadership and circumstances, which can unravel schemes. In activism and change-making, one has to play the very-long-game, and that is why it can take one’s entire lifetime for a cause. This is why I use the term patient idealist for myself. I believe change is possible, even deep fundamental changes. However, they will take time to fully manifest, bearing in mind the realities of human psychology and the inertia of organisation and institutions. But they are only obstacles, and besides, what good important work wasn’t difficult? In conversations with friends, I’ve had the chance to reflect about how I look through readings. This is an attempt to articulate what happens when I’m browsing for articles and books, both physically and digitally. What usually happens is that I start off with a bit of grand theorizing – find the people who try to construct universal frameworks. These are only the beginnings and they are often discarded and/or refined as I encounter new facts and frameworks. After a while, I realise that I’m looking a lot at academics and specialised journalists who have spent a long time looking at a specific area. This is also that I try to avoid op-eds and authors of books who tend to only aggregate newspaper material. Tapping into academics and specialised journalists helps me to construct detailed concepts about how a specific issue develops and its sub-issues. For example, if I was doing work on poverty, I would be looking at grand theories about how poverty happens – cultural framings, economic framings, cognitive framings and so on. Within each of these framings I would go into detail, all the time asking if the framings are appropriate. For example, with culture, I would ask, how do people talk about culture in useful ways? With economic, perhaps its an issue of skills and economic structure. With cognition, it could be the way people decide spending and investment decisions. And then go into greater detail into the linkages between say, economics and culture. After exploring the silos, I’ve found it helpful to read works on how the different silos are related. I like the works by Vaclav Smil as he explores the interactions between energy, food production, consumption and natural processes. Sometimes they horizontal linkages become silos in themselves – such as system dynamics and complexity, both of which are vast disciplines in themselves. So with the poverty example, I would be interested in how cultural framings interfere with economics and/or with cognition, and how various countries have addressed poverty in various ways. After a while, it’s possible to develop a meta-sense when looking at articles into: (1) things directly relevant to interests; (2) things that add to current interests; and (3) things that I never knew about. (1) and (2) overlap, and its a function of what am I interested in at the current moment, and also about rebalancing areas that I am more familiar with and what I’m not as familiar with. I try to look for fact-heavy books with subtle arguments. They tend to be historical and supplemented by primary research – which as a result, becomes the domain of academic researchers, or very senior journalists who have spent a lot of time in an area. I guess what drives me is that I’m trying to understand the world and constructing frames to guide my understanding. So far, what I’ve described is pretty generic – I’m thinking this is the general process of what most people go through in many things, ranging from workplace implicit knowledge to how fan-fiction is generated. To further categorize the knowledge acquired, another labels can be helpful. I’ve found Aristotle’s 4 causes to be useful labels: efficient, material, formal and final causes of things. In short, they describe the process, the materials/technology, the medium in which the happen and the purpose for why they occur, respectively. I’ve found the Snowden’s Cynefin useful – in describing the epistemology of events/processes – whether the process are simple, complicated, complex or chaotic – terms to describe the relationship between cause and effects and the degrees to which they are known. Kahane’s notions of complexity are also useful – whether things are socially (involving diverse beliefs), generative (awkwardly, the expectedness of outcomes), and dynamic (again, relationship between cause and effects) – as I understand the terms. I hope to explore their notions and other notions of complexity in greater detail in a future blog post. There are some limitations in my current understanding. I don’t have clear notions about aesthetics, spaces, tactility and perceptions. My design/aesthetic senses are not as developed, and its something I ought to get more experiences at. Because they can mean anything to anyone. This term is so often used that its becoming an empty phrase. In popular use, sustainability is used in the environmental context (as I remembered it being used in the early 90s) – as a term to look at the longer-term viability of the natural environment and to preserve it for succeeding generations. In my recent memory, the term is being used to describe the financial viability of public finances and with economic growth, as with “sustainable economic growth” – as with China – which is confusing because it can describe both the environmental aspects and the viability of 7.5% and above GDP growth. So I propose that sustainability should really just be replaced with “longer-term soundness (or viability)” – which is what most people are trying to get at. However, this only solves half of the problem; the other half is that people don’t seem to understand that longer-term viability depends on the flows of production, consumption and (re)cycling mechanisms – that’s why I guess it was used first in the environmental context, and now looking at financial contexts. When I think of public schemes, I think of cash transfer and other such subsidies. In self-reliant Singapore, one question that pops is whether such transfers and subsidies are “sustainable or not?” That’s really quite simplistic, because such transfers or subsidies really assume a wider context of economic growth or some other stable condition. Without that linkage to income flows, questions of longer-term viability are just not worth addressing. “But maybe increased transfers can make public finances less sound?” Well, *shrugs – that really is a political question, on how much people want to receive, and how much we believe that taking care of each other is important. As for soundness well, unless country X hired Y financial company to fiddle around public finances, I wouldn’t be too worried. I hope common sense prevails, of course, that people fundamentally understand that soundness basically just means spending within means and save something for the future. Because there won’t be an external party to bail us out. This really is a representative of the various terms used to describe government-society relations. How much input should the public and civil society groups have in considering policies? What are the political considerations for the political parties taking part in these kinds of exercises? In SIngapore the second question of political parties is often ignored, but this might not always be the case. My attention is on the first question – and that has been addressed in one of the articles in Ethos magazine on the spectrum of engagement, ranging from inform, to consultation, to consensus-building, and then co-creation. In summary – there are many forms of communications, some of which cannot be told to the public, some of which requires feedback especially on technical affairs, others are more open and wide-ranging, when some others require the public to act first. All of these depends obviously on the context of the situation, and the outcomes to be achieved. Slapping “engagement” on every single government-society interaction dilutes the term of its meaning, and increases the cynicism and confusion when such events takes place. First of all, if some spokesperson say that country X strives for inclusive growth, does that mean that country’s economic growth was exclusive to some people? Martin Luther King Jr’s civil rights movement was about political participation as it was about economic participation for ethnic minorities. The platform on which he gave his historic, “I have a dream” speech was the “March on Washington for Freedom and Jobs”. Most people would seem to have an intuitive sense of what inclusive growth means – that broad segments of the population can participate and enjoy the income growth that comes with a growing economy. But as the financial crisis revealed, growth can focus on very narrow sections of the working population, with some sectors enjoying nearly astronomical increases in their income. That in turn, can be attributed to political-structural issues; on the impact of the finance industry on politics; on the diminishing influence of labour and the continual pro-business and anti-welfare slant – all of which as happened in the US, and some of those have some resonance with what has happened elsewhere in the world. And that’s just in the economic sense. Inclusiveness also has other connotations, to do with people with disabilities, handling religious and ethnic diversities, and inter-generational differences. Singapore wasn’t always a kind place for people with disabilities and for older people and even today, it can be a far kinder place. There just seems to be gaps in the society’s culture that prevents us from experiencing and empathising with people who might actually have real difficulties in getting around and living a better life. It is always emotionally easier to deal with something far-off and in a stand-offish way in abstract terms, than to begin to try to understand the difficulties of those people and the people who love them. Recent efforts by Caritas in asking people to walk with the less privileged is definitely notable, but a lot of it also depends a lot on employers and managers to understand their needs and work alongside them. The question of social inclusiveness will also re-connect back to economic inclusiveness – by asking people to get along with others different from themselves, they too can get access to economic opportunities and live meaningful lives. Another facet I want to get to about inclusiveness is that it also leaves many other questions about what gets left out, and if new social groups are included in some new scheme, why were they left out before? These questions are also, ultimately, political in nature – about political figures being accountable to the public on the delivery and intent of some of these policies, especially where strong attitudes/inclinations/stigmas/prejudices still exist. Again the topic of inclusiveness is about how expansive and embracing do people want to be. Lastly, inclusiveness is also a question of identity and how secure people are with the identities thus constructed by politics and by culture. Who are we? Who do we choose to be? In my mind, and this may be arbitrary, but these questions are mainly cultural, and sculpted by political and social groups in contestations. So here they are: 4 magical political words: which when used achieve the political objective of broadcasting favourable imageries into people’s minds and especially so, when not questioned. And, Merry Christmas, and a happy 2014! This week is about individual identity. Where do we get our identities from? 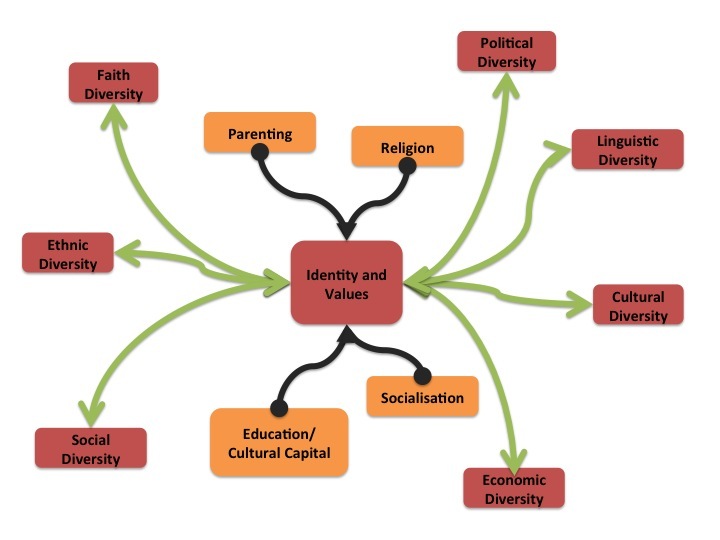 Parenting, faith, religion, education and socialisation all have something to do with it, and the identities and values they nurture help the individual interact with the diversity of society around us. Are we equipped to do so?